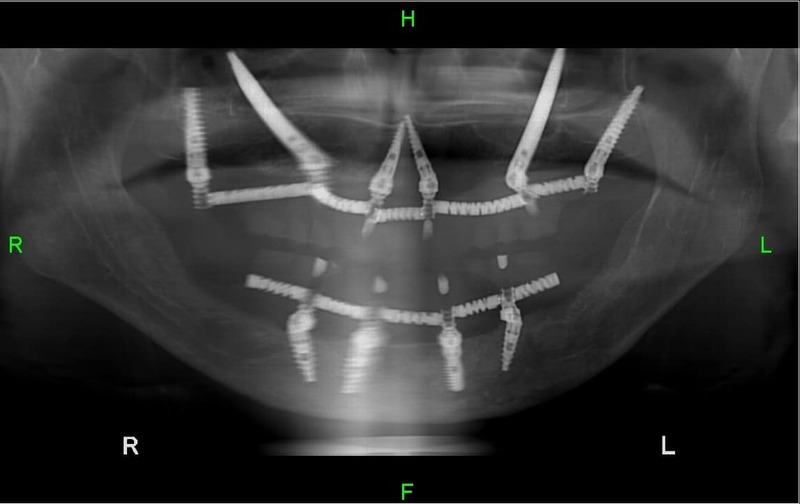 Zygomatic implants represent the conceptual change that has been taken place these past years in dentists’ perception of how to approach performing dental implantation. This concept says to not only adapt the treatment to the patient, but unlike the thinking as it was till today, adapting the patient to the treatment. Up until just a few years ago, the customary approach Dentists had was there was a very clear path to perform dental implants – to anchor the dental implants onto the patient’s jawbone just like his natural teeth are anchored to it. For those who had a strong and thick jawbone had “fit” this treatment and therefore they could come in and perform the dental implantation. In cases where a patient visited the dentist when part of his jawbone has been absorbed and what remained of the bone wasn’t thick enough in order to stably anchor dental implants one of two things would happen – either the Dentist would refuse treatment and the patient would become deemed “Refused for Treatment” or the Dentist agreed to perform dental implantation but would have to “fit” the patient to the existing procedure. As a result, many patients that had bone deficiency in their upper jaw had to undergo a lengthy, expensive and unpleasant sinus lifting. A treatment where dentists inserts synthetic or natural bone powder into the mucosal tissue of the sinus cavity. The purpose of this treatment was for that said powder to emerge into bone texture that will result in sufficient thickness to the upper jawbone in order to anchor the dental implants. This treatment was not only painful and required a long healing period but it also created the risk of penetrating too deeply into the sinus cavity, with all of the medical complications it presented. As such, patients had two options, to suffer through this risky treatment or to settle with dentures. Following the revolution that transitioned from standard implanting to same-day dental implant treatment, dentists realized that the implant treatments needed to become “friendlier” to the patient, and new creative solutions needed to be found that will enable the general population to earn new teeth regardless of their existing jawbone condition. One of the more elegant solutions developed was to use specialized implants – Zygomatic Dental Implants. The Zygomatic implants were designed to solve the same problem of bone loss in the upper jaw without the need for bone grafting. How does Zygomatic Implanting work? Since we are discussing a case there the jaw isn’t thick enough for dentists to anchor the dental implants into the jawbone, rather to the bone above within the cheek that is named the Zygoma bone. In order to perform the dental implant into the Zygoma, dentists uses Zygomatic implants, dental implants that are longer that reach higher than the jawbone area, and can reach and be screwed into the Zygoma bone. This way we can bypass the problem of bone deficiency in the upper jawbone and succeed performing the same-day dental implant even in complicated cases of bone deficiency, and the treatment is fit perfectly to the patient. Dr. Balan is considered an international authority in the field of Zygomatic Dental Implants’ with hundreds of complicated procedures that he has performed in this method. Leading dentists in North America, Europe and Asia fly to his clinic in order to receive professional training courses in this method.